A flowing gradient splashed with short row “leaves” turns this semi-circular pi shawl into a stunning statement piece — and the perfect wrap for your outdoor adventures. And the best part? It’s worked in a unique self-striping yarn that shifts and blends, with golden sections appearing as you knit to tell you when to work each Leaf. It’s addictively mesmerising! I worked closely with Catherine of Gauge Dye Works to design this special shawl. It was an unusual collaboration, in that the yarn colourway and the pattern were developed in tandem to create a knitting experience that’s fun, engaging, and reflects the beauty of the great outdoors. Instructions are included for substituting a non-striping yarn. The yarn designed especially for this pattern is available in six colours from Gauge Dye Works. 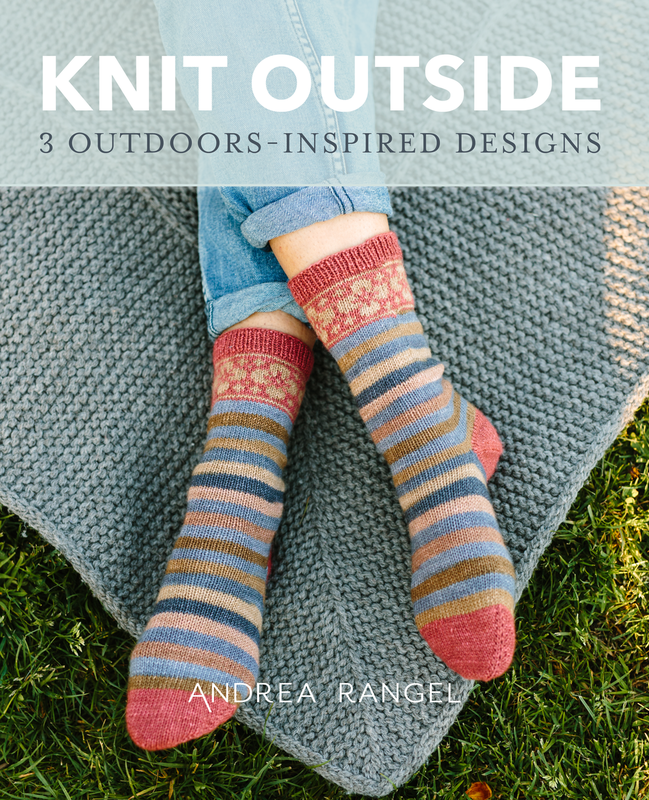 This design is available as part of a print and ebook, Knit Outside. *Project is worked flat, but a circular needle 40 in/100 cm or longer may be helpful for managing a large number of stitches.